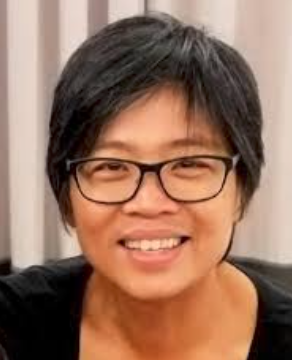 Candy Gourlay is going to be in conversation with Julia Eccleshare on 26 November 2017, 9.35am, in the Stripe Auditorium, Winchester University, at the SCBWI Conference. Here, she tells us more about Julia's background in children's publishing. After years of keynote speakers representing authors and illustrators, the SCBWI conference introduced the Pulse Keynote to help members build a picture of the publishing world. Our first keynote in 2015 was the inspirational publisher with the golden touch, David Fickling of David Fickling Books, followed in 2016 by the roll-up-your-sleeves literary agent spanning two oceans, Sarah Davies of Greenhouse Literary Agency. I am going to be on the stage this year, to interview our Pulse Keynote speaker. It's a bit like meeting Doctor Who, because this is someone who was present at all the eruptions and disruptions that have made the world of children's literature what it is today. I give you Julia Eccleshare, a name that might be familiar to Guardian readers – she was the Guardian's Children's Book Editor until 2016. In her long career, Julia has been a critic, an editor, and a journalist. She's watched from her front row seat the slow metamorphosis of the industry from the cosy idealism of the 1970s, when writers might take several books to find their authorial voice, to today's world of bottom-line-driven, high-stakes publishing. 'The equation is always changing,' Julia adds. She should know, as she was there to witness – and, as a children's book editor, participate in – the metamorphosis. Children's television in the 1980s and 1990s raised the bar, as publishers realised that more money could be made in the children's sector. Society changed. The traditional shape of the family completely changed. The advent of Harry Potter by JK Rowling showed the market the explosive commercial potential of children's literature, while the publication of His Dark Materials by Philip Pullman revealed its intellectual possibility. In the 2000s, the market is global and seemingly infinite; now, thousands of people want a share of JK Rowling's pie. At the same time, seismic shifts in bookselling have led to library and bookshop closures, with Amazon not only crushing booksellers but, via its punter-written book reviews, bringing the decline of the professional book critic. Despite everything, Julia insists we have many reasons to be optimistic. This keynote is going to be epic. Make sure you catch Candy and Julia Eccleshare in conversation at the SCBWI Conference 2017. Candy's next novel is going to be published in 2018 by David Fickling Books.